Countries hosting refugees are doing what they can to manage the influx of school-aged migrant but thinning resources make it difficult to accommodate every child’s requirements. 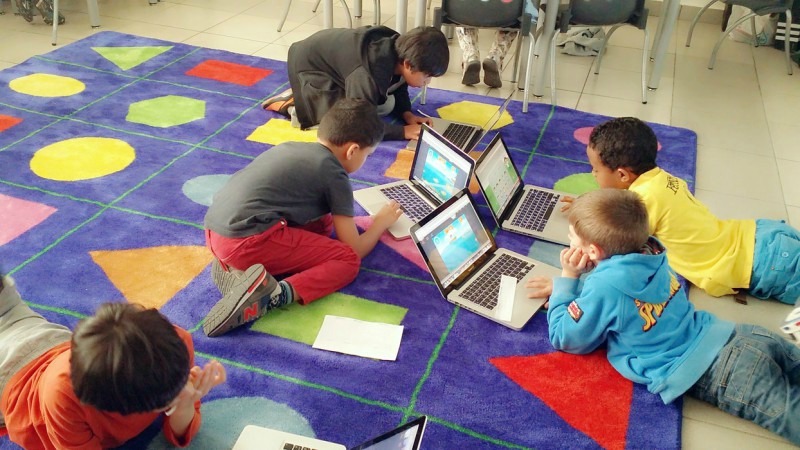 Education technology can help fill that gap, writes Sébastien Turbot. Sébastien Turbot is the Curator and Director of Programs at Qatar Foundation’s WISE Initiative (The World Innovation Summit for Education). I often find my daily news feed packed with harrowing visuals and reports of people risking their lives in search of a better life. Emergencies – natural and manmade – big and small – are forcing millions to flee their homes, cities and countries for foreign lands. We are witnessing the highest levels of displacement on record. Globally, one in every 122 humans is now either a refugee, internally displaced, or seeking asylum. It is also a disastrous time for children. Nearly 462 million school-aged children live in 35 countries affected by crises and an estimated 75 million children are in desperate need of educational support. Governments, international and not-for-profit organisations and individuals around the world are mounting coordinated efforts to address this crisis but stronger action will be needed to rescue this generation. Enrollment in schools has plummeted and so has global aid for education. Indeed one could argue that when disaster strikes, food, clean water and medicines come first. Education comes second. But having spent more than a decade in conflict-ridden areas like Afghanistan, I also realise the impact and importance of education to restore a sense of normalcy in children’s lives. Countries hosting refugees are doing what they can to manage the influx of school-aged migrant but thinning resources and growing socio-economic challenges make it difficult to accommodate every child’s requirements. For instance, Lebanon is home to more than 300,000 school age refugee children from Syria. The country’s education system is reeling under the sheer pressure of the colossal figure. And even when children are brought back to school, it is hard to retain them for long. Unfamiliar teachers, alien curricula, lessons taught in a foreign language, lack of integration often contribute to high-rates of drop out. But all hope is not lost. New and creative solutions are knocking down barriers to unveil the much-needed silver lining. And here education technology (edtech) has a big role to play. Edtech is not a silver bullet but in the current context it is an accelerator and more importantly an equaliser. “Edtech provides the ONE equal opportunity to quality education. Technology ignores backgrounds, it doesn’t matter whether you are at home or if you are bare feet on when you are in front of the screen,” says Jo Bersford, Director of Green Shoots, an education NGO based in South Africa. Education projects such as World Reader, Open Learning Exchange, Talking Book and Rewrite the Future (Save the Children) are making quality instruction available to displaced learners – both young and old. Technologists and education practitioners are working together to design solutions that actually match real needs on the ground. They take into account education goals of migrants to build a curriculum that is really useful. Content plans are designed keeping in mind cultural background and linguistic levels. Recently, Libraries Without Borders and EduTechnoz joined forces to offer game-based Arabic lessons to Syrian refugee children in Jordan. Facilitated by Qatar Foundation’s WISE Initiative, this collaboration will cater to both the educational and emotional needs of refugee children. And the role of technology no longer stops at content distribution. In addition to addressing the access and equity gaps, online tools are also helping equip learners with relevant skills for the 21st century – not just coding or design but also creativity and collaboration. Ideas Box, an out-of-the-box idea creation by Libraries Without Borders, is one such example. This multimedia center on wheels comes packed with e-readers, tablets, cameras, paperbacks, board games, MOOCs and even an Internet connection to educate, entertain and stimulate creativity among refugee children. The list of examples is endless. The bottom line is that education technology has the potential to bridge the gap between the education we have and the education we need. It cannot permanently replace teachers but it can temporarily substitute for them. Today, a click on the keypad promises to open a new window of opportunities for millions of children and more importantly, save them the agony of hitting the pause button on education.